This working is designed to separate a couple or someone you are close to from a bad relationship or harmful situations of any sort. 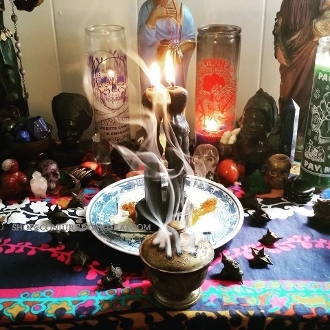 Let me personally load and fix a solid black separation candle and burn it on your behalf with a proper altar set up, deity invocation, offerings and prayers. This is a 48-72 hour service depending on how your candle burns. YOU WILL BE SENT A REPORT UPON COMPLETEION-NO SOONER! ***A full report containing 5-10 photos will be emailed when the work is close to completion or upon completion.